What is a hangar planner for aircraft stacking? Hangar and Ramp Planner is developed for anyone who needs to explore various ways to optimize available hangar or ramp space. 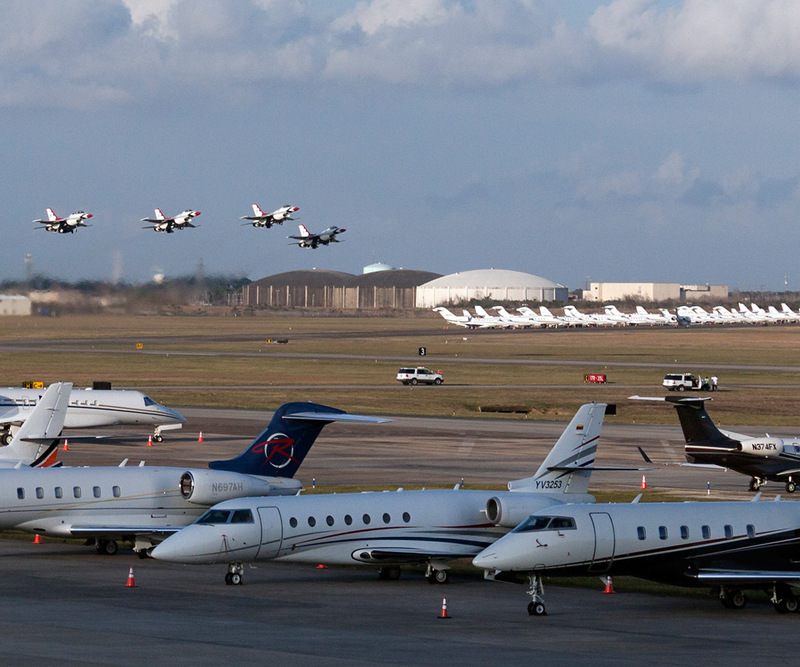 Determine what space is required for a future hangar or assist in setting up a crowded parking ramp for a major event. 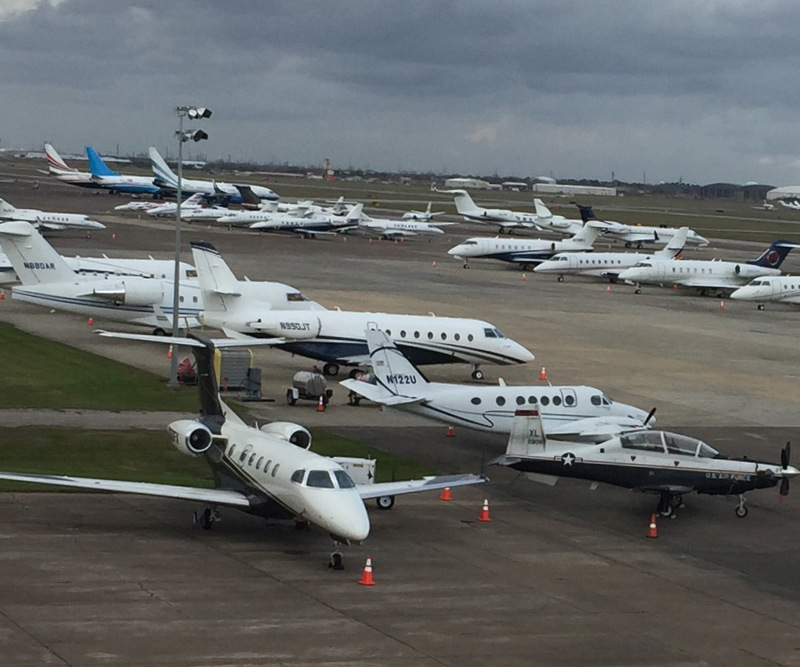 In other words, if your ground space is valuable and active, Hangar and Ramp Planner will help in stacking that ground space to get the most return on the dollar. The software solves the problem of making parking decisions by looking at your facility from the best view – from above. While the software can assist you in determining needs for future hangars and ramps, it is not designed to replace the architect in designing your facility. 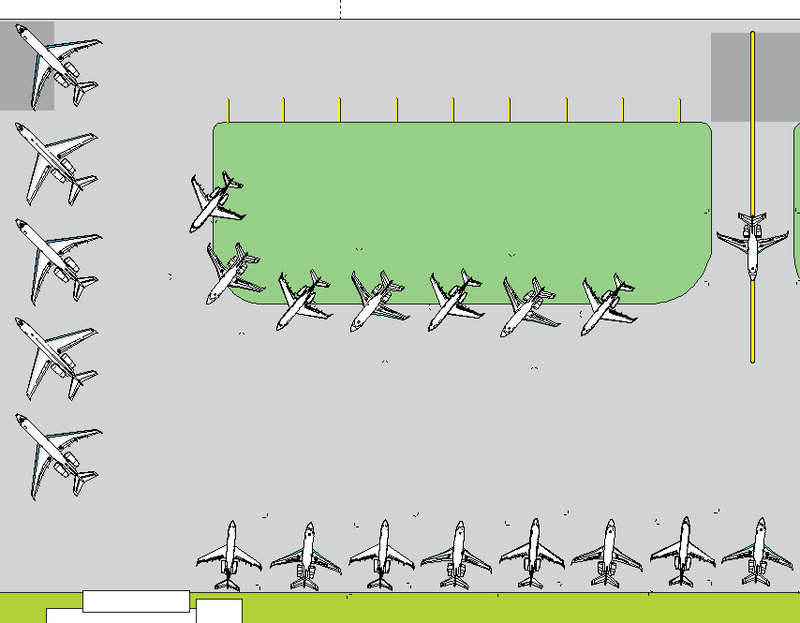 Hangar and Ramp Space Planner is designed to work with the SmartDraw application. It is an easy to learn and use program that allows you to avoid one of the costly high-end CAD programs. SmartDraw provides an easy way to move, rotate and rotate the aircraft drawings used in Hangar and Ramp Planner There are also drawings of GSE, helicopters, airshow aircraft and templates, which you might find handy in other facets of your aviation related business. The library of aircraft includes more than 2,000 scaled aircraft drawings, and in most cases also a front view is provided. The illustrations range from single engine through heavy transports. The drawing program allows you to work in any scale. SmartDraw has a very easy interface that will allow zooming in to a nose wheel or zoom out to a JFK sized airport. If you find that an aircraft you need is not in the collection, give us a call (or send an email to gene@onemileup.com and let use know. If you can supply a three view of the aircraft, (top, side and front) send it and we’ll provide you with the SmartDraw files free to all current maintenance buyers. One Mile Up, Inc., a Virginia, United States, based company is a renowned source for professional products in two widely different areas: clip art, and aviation. With over 15 years in business, we have been the most reliable source for comprehensive imagery and software solutions for our highly specialized markets.